ST. PETERSBURG, RUSSIA - JANUARY 2, 2016: Brothers Zapashny circus, "UFO. Alien Planet Circus" show in Saint Petersburg. 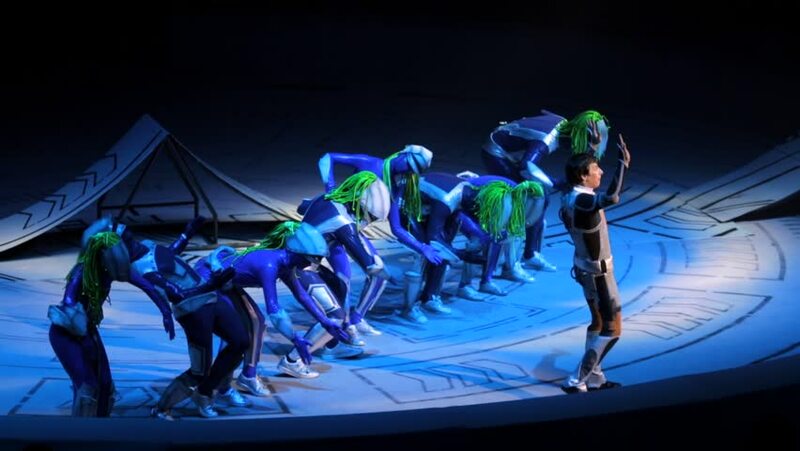 Actors in costumes of aliens and a human perform on the stage. hd00:25DNIPRO, UKRAINE - JANUARY 6, 2018: Nutcracker ballet performed by members of the Dnipro Opera and Ballet Theatre ballet. hd00:21FEIRA, PORTUGAL - MAY 25: Desastronauts from Spain during the Imaginarius event on May 25, 2013 in Feira, Portugal. hd00:20Two men having fun, sliding at water park. Wide angle action camera footage. 4k00:17DOMZALE, SLOVENIA - 3. FEBRUARY 2018; AMATEUR CLIMBER PRACTICE. A man puts a rope higher on the climbing wall when he is reaching higher heights.